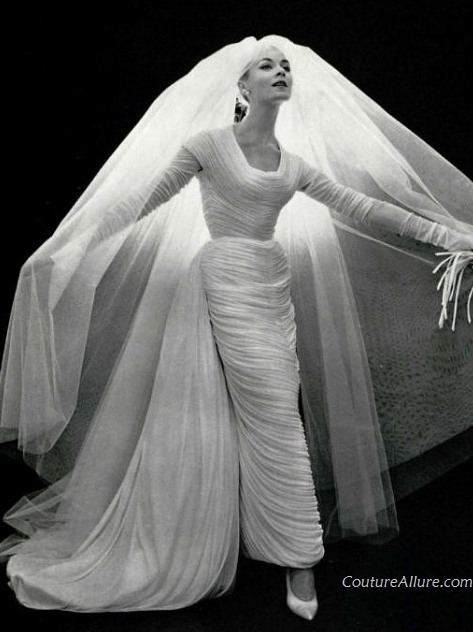 Lest you think after yesterday's post that Nina Ricci only excelled at suits, here is a Ricci draped silk jersey wedding gown from 1957. Ever Wonder Why an Hermes Scarf is so Expensive? Mad Men - Oh The (60s) Clothes!